or Why a Company Cannot Exist without Reinventing Its Business Model! I often have to explain the reasons why a company must innovate not only in terms of its product line, but also when it comes to reinventing its business model. I have lost count of how many times I was told: “We have always done things in this way; we are really not going to change it at all!” Instead of spending hours trying to persuade people with sales forecasting case studies, the easy way out is still storytelling. Since all good stories start with “once upon a time”, then let’s do this the right way! Once upon a time in the American West, around the year 1825, there was a company that offered all sorts of stagecoach transport: merchandise transport, passenger transport and secure cash-in-transit transport. As the conquest of the Far West unfolded, there was a huge spike in demand and the company was constantly developing. Its manager could boast an annual growth rate of about 35% in revenue and it was the same for the employment rate, as well as for the purchasing of goods and horses. The manager had just closed a very important deal regarding merchandise transport spanning several years! He gloated over it all the more so as this was a big client! This deal concerned the transport and drop off of metal bars and large boards all over between Baltimore and various towns up until Ohio River. In 1830, the greatest deal of all times ended and almost the same day the railroad between Baltimore and Ohio River was finished: the train was inaugurated with great pomp and its rail service began. More and more transport service users started taking the train and dropped the stagecoach transport. Admittedly, there were still some destinations where the train did not stop. However, this was a big blow to handle right after the end of the greatest merchandise transport deal. Furthermore, the passenger rate had dropped by 25% while the manager had forecasted an annual growth of 35% for the following year, and had recently invested in 5 brand new stagecoaches. The company faced over-indebtedness: it went bankrupt. By focusing exclusively on stagecoaches, this company had lost its reason for existence. Instead of positioning itself as a stagecoach service specialist, the company should have understood that the heart of its mission was not stagecoaches, but transportation and as such, it should have followed the trend of its industry so as to stay competitive. Unfortunately, this story does not end with “and they lived happily ever after”, but since I have to give this tale a happy ending, let’s use the moral of the story: “Instead of watching trains go by, it’s better to jump on a moving train while you still can”. 1) What should have they done? And how? 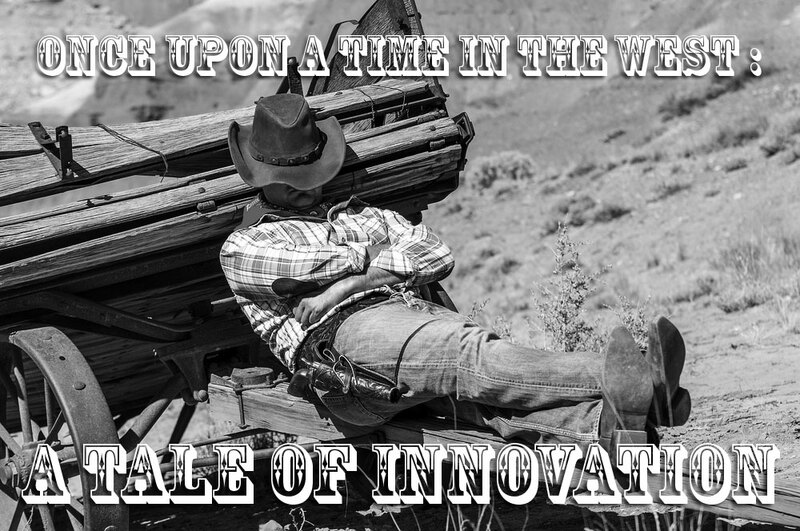 2) Isn’t it most often how innovation works in business? New companies with disruptive new products win the market? 3) (an uncountable 3rd point) Isn’t it why we observe business fragmentation: established companies wisely considering they are doomed to fail, giving up innovation and new biz models, and going back to their core business; small ventures innovating for them; then established companies buying interesting and market-validated startups (“on-the-shelf innovation”), leading to an increasing number of startups? IMO this justifies we don’t considerate the startups as a fashion, and we take seriously the support (intellectual and material) to these small companies.